I dropped my equipment - how much will it cost to repair? An impact can be a collision, drop, fall, knock, force, applied pressure, etc resulting in a dent, crack, breakage, shattering or oops. All accidental damage could cost a little or a lot to repair depending on the extent of the damage. This is a common phone inquiry we receive that is very difficult to answer sight un-seen. If your equipment has sustained impact damage you may want to contact your insurance company, they may cover the repair or replacement cost. A lot of times the lens assemblies are damaged on the compact camera. due to impact. We can try to repair/refit/straighten the bent/crooked lens but in most cases the lens assembly will have to be replaced however this is uncertain until a technician assesses it. LCD assemblies can be damaged due to strong pressure on the external window and internal glass. These can be replaced at a reasonable cost depending on the cost of the LCD assembly. Touch LCD screens are more expensive. There are numerous problems that can be caused from impact, and again sight un-seen it is very difficult to provide an accurate diagnosis over the phone. The camera body casings are broken/cracked. This is internal break and can not be found unless dismantled. If there was a flash on the camera at the time of impact the hot shoe may be bent. 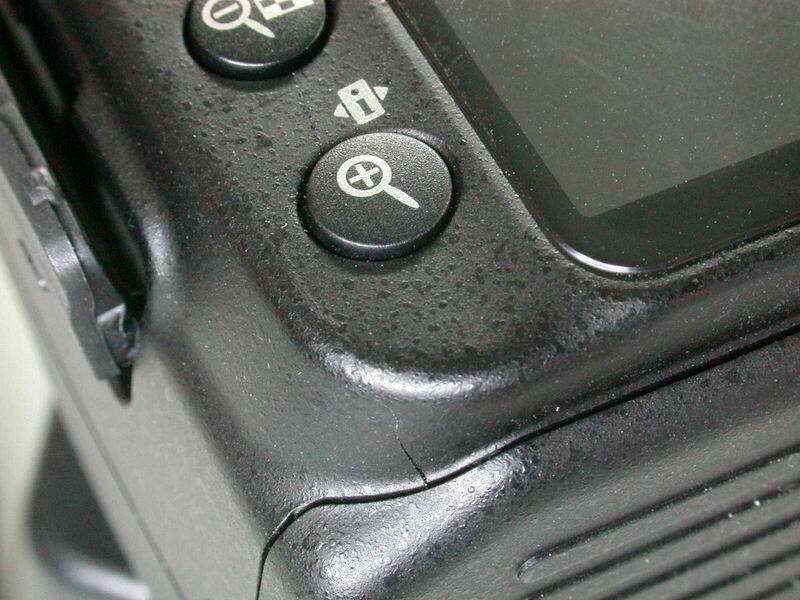 If the hot shoe has been damaged a technician will need to check the hot shoe screws. If a screw has fallen into the camera the screws must be found or it can short circuit the camera. The rear LCD has a crack in it. 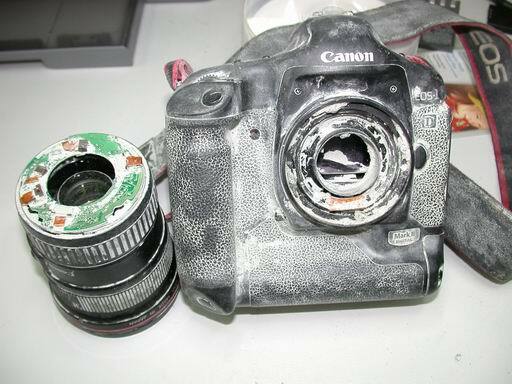 If a lens was on the camera at the time of impact it could tear the bayonet mount from the body casting. There are many circuit boards and power board in SLR units, they could be dislodged/torn or a fuse may be blown. The focus could be out because the bayonet mount is bent, focusing screen or CCD or the body casting is out of alignment (even slightly out can cause focusing problems) or the unit needs a focal re-calibration. The LCD showing an ERROR - this could be a power/circuit board, shutter, mirror box, dislodged part or in need a full re-set. Most cameras have a EPROM a memory in the camera logging errors and error codes. Shutter mechanism jammed up - it may require a new shutter unit, shutter electromagnets, phase circuit, shutter button, mirror box, or power/main circuit boards. 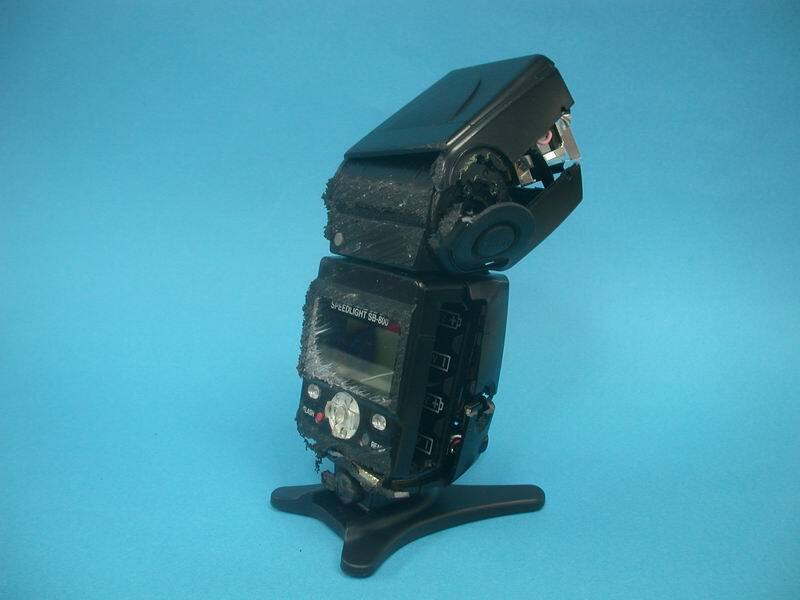 If the hot shoe is torn from the flash we can replace the hot shoe assembly. Could be a flash tube, circuit board, battery connection, loose power/circuit board connection or hot shoe. The lens focus, resolution and movement is reliant on many tubes and guide rollers operating together. Each tube is located one inside a another and the rollers guide the lens movement. If a lens has sustained impact it may only take one bent/broken roller to cause a lens problem. Tight spot in the focus/zooming mechanism - there are many tubes and rollers in a lens assembly. When a lens is impacted the rollers can bend/break and the tubes distort. If the front of the lens has movement in it, this can be from impact or wear. The lens resolution or focus is out. The lens may require a calibration, part replacement or an optical realignment. There is a contact pin assembly at the end of the lens, if this is damaged it could cause communication problems with the camera. There are also circuit boards in lenses that could be damaged. This could be a broken guide roller or a loose screw. You need to get this looked at immediately because a loose screw can cause a short circuit that can damage circuits or the diaphragm blades (aperture). Due the uncertainty of the extent of damaged caused by the impact for a accurate diagnosis we recommend you have the equipment assessed by a technician.